One of the popular eatery-dense areas which I seldom explore is definitely the Kajang / Semenyih town. 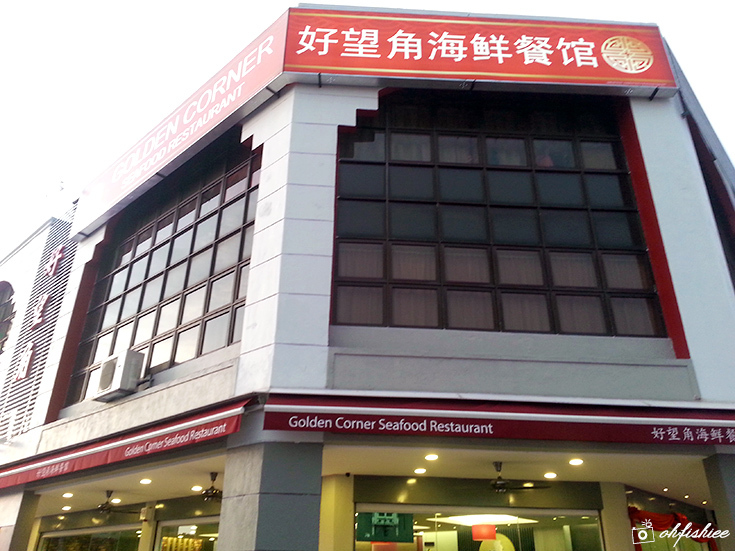 During my weekend visit here, I've found a hidden gem that serves good Chinese dishes at a very reasonable price tag. You can easily fill your stomach to the brim for less than RM20 per pax. The interior looks very posh as if I have just entered a high-end Chinese eatery. The evening crowd starts to flood in as early as 5pm! We arrived around 6pm and the dining area on the ground level was almost fully occupied. But no worries, there are more seats on the second floor. 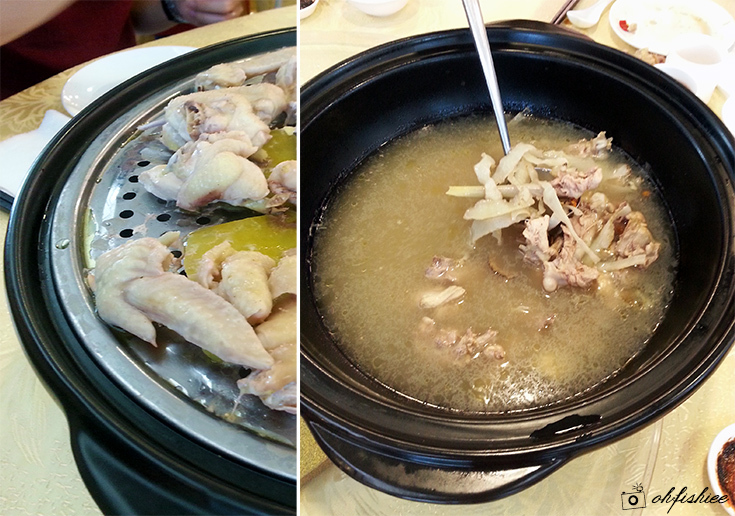 First timers must try out the signature steamed chicken served in a large claypot. 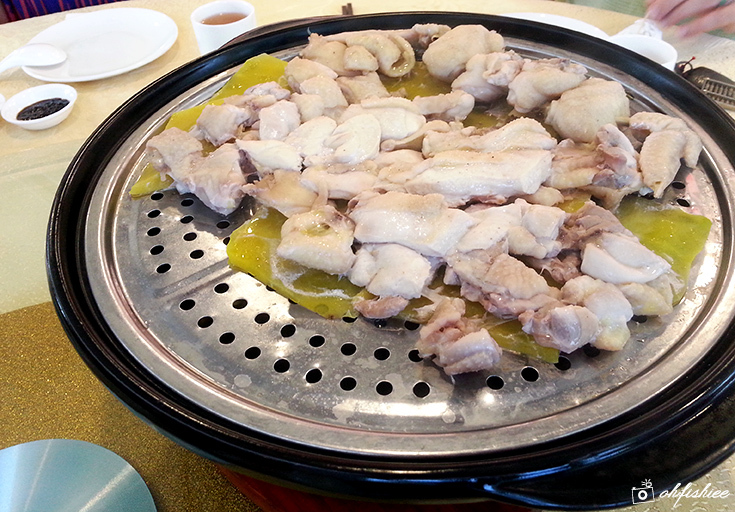 It is cooked with the herbal soup itself for 15 minutes, upon serving. The minute we open the lid, the space is filled with strong herbal aroma. And the chicken beautifully retains its original flavour when served on a bed of sweet pumpkin. You may choose to distribute the meat among yourselves, then remove the lid because something awesome is in the claypot! 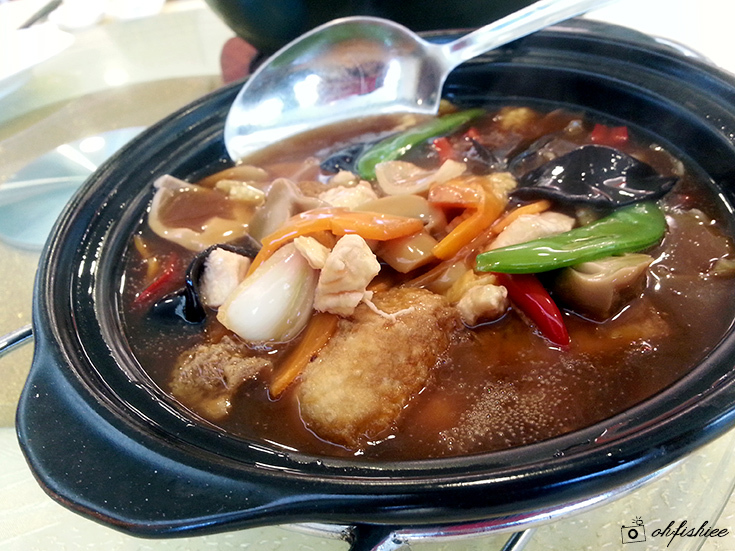 The soup is extra flavourful and packed with rich essence from the chicken and Chinese herbs. This dish is highly recommended, especially during rainy cold days. My next favourite goes to the homemade beancurd served in a mini claypot with plenty of mushrooms, vegetables and sliced chicken. The beancurd is a winning taste itself because of its silky smooth texture that is different from the usual commercial type. I love the thick gravy that doesn't feel too starchy for my liking. Simple yet comforting dishes are just as great, to go along with a steaming hot bowl of rice. I am surprised by its generous application of macadamia nuts in this dish. 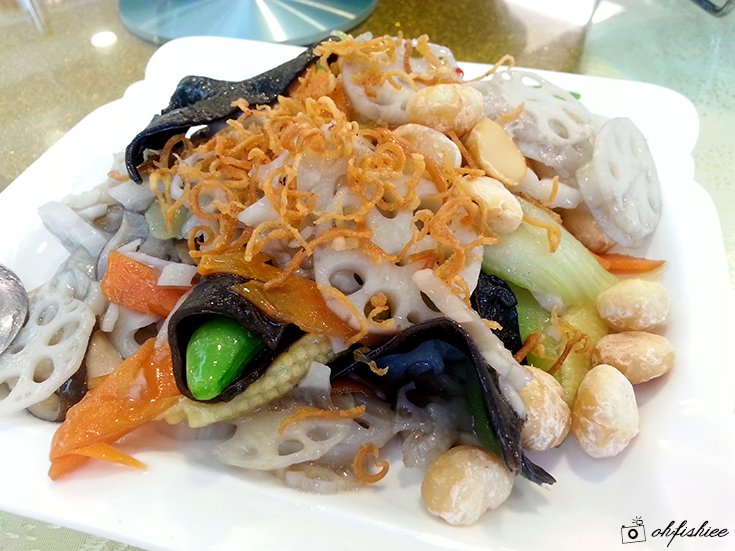 The deep-fried dried shredded squid is a nice addition to the dish because of its extra punch of savoury taste and crunchy texture. I guess you probably can't find any vegetable dish at RM10 elsewhere in KL right? Well, my family is not huge meat lover, so most of the dishes we order are healthier and fuss-free. 1. 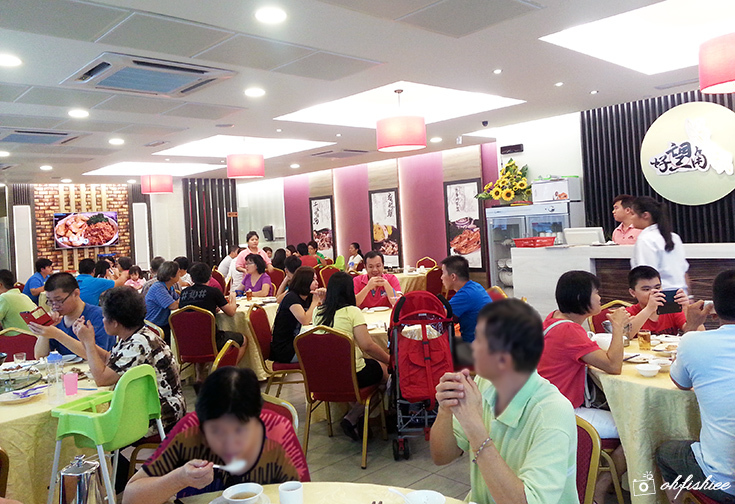 Overall, it is a pretty decent Chinese restaurant that is great for family gatherings. 2. Ambiance wise, this restaurant is very hygienic and not as noisy as other similar places, but the best part is that it is worth every penny you pay for the food and ambiance! Disclaimer: Sorry for the poor photo quality, because they were taken using mobile phone. Never had lotus in my life. Wonder how it would taste. 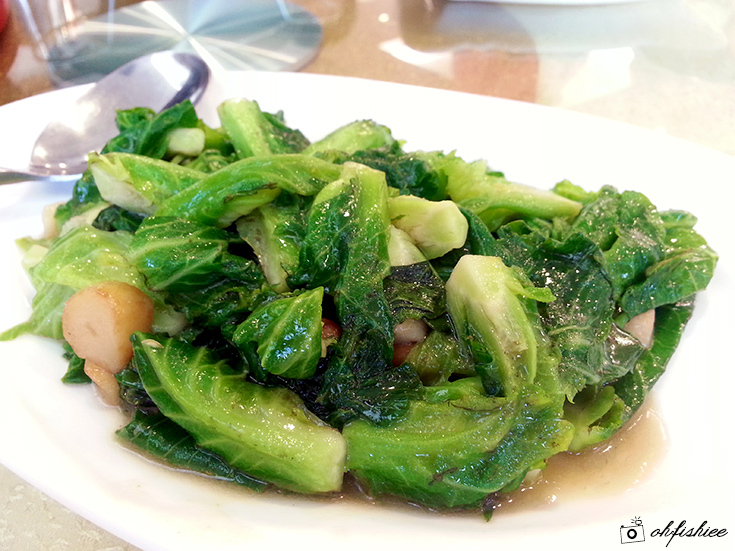 But the last picture of stir fried veggies made me drool! So cheap and it looks oh so yummy! I should bring my popo here one day. SHE WOULD LOVE IT! wow nice place to dine, look at everyone is enjoying their meal. Seldom go that area but should let my friends that stay there to know this place. hmmm... interesting dish name... sauna kampong chicken... hehehe... but it looks interesting... would love to try it.. Thanks for sharing - will share with my friends. Sauna kampung chicken - hahaha. Mesti ayam itu dah kurus sebab masuk sauna. Good one Fish! Used to go Semenyih but nowadays seldom go. Its on my to go list when we visit Semenyih again. Claypot Beancurd with Vegetables is always my favourite dish whenever my family goes out to eat in a chinese restaurant! The Sauna Kampong Chicken looks delicious, maybe going there with my family one of the weekend. The food nice.. Just great for a family dining! So cool ah the sauna kampung chicken. If only this place was nearer tho. The food looks great, its a nice place to go to with the family. Will need to bring mine here soon, they will definitely enjoy it.